This has been a kind of hard few days. 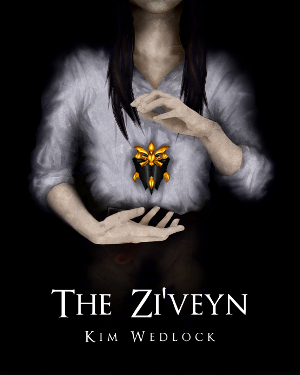 There are some things I've not talked about, and still don't wish to until there's anything solid, and while one in particular was moving along well a few weeks ago, a few wrenches have been thrown into the cogs and we're not sure what's happening anymore. Then there's the matter of my mother's health, which is getting worse, and is something I've not really talked about either because it just upsets me too much. There. How about that - an introduction about nothing! On the plus side, my book is moving towards completion (this draft, anyway), I've been listing lots of new things in my Etsy shop both from the exhibit and brand new pieces I've made, and I'm making some parsnip and chestnut soup for dinner today. It's the little things. Otherwise, autumn is well and truly setting in, with the temperature dropping at last into single digits! Pull out the jumpers, fill your hot water bottles and stack up the books! If The Zi'veyn isn't among them, then shame on you. And, finally, I can openly eat porridge for breakfast every day. I mean, I did anyway, but now there's no stigma. And what better way to start a late October morning? Toffee apple is a wonderful autumn staple. What makes it better? Warmth. What makes that even better? When you've just gotten out of a warm, toasty bed and stepped into the frigid autumn morning that lurks outside the covers. So, naturally, toffee apple porridge was the next step in my tangled little mind. But it has to be healthy, of course - if your breakfast is healthy, you're more likely to keep eating healthily throughout the day - and dates are the way to do that. Dates are a wonderful replacement for toffee or caramel sauce - but you have to pick your dates. Medjool dates, the big ones, are very caramel, whereas the smaller dates like Sayers seem to be more toffee, with a darker colour, thicker texture and not quite as sweet flavour. Most people use medjools, but I often used Sayer dates in my porridges. Mostly because that's just what I have on hand. But it works here! So instead of adding sugar to your toffee apple, add dates. 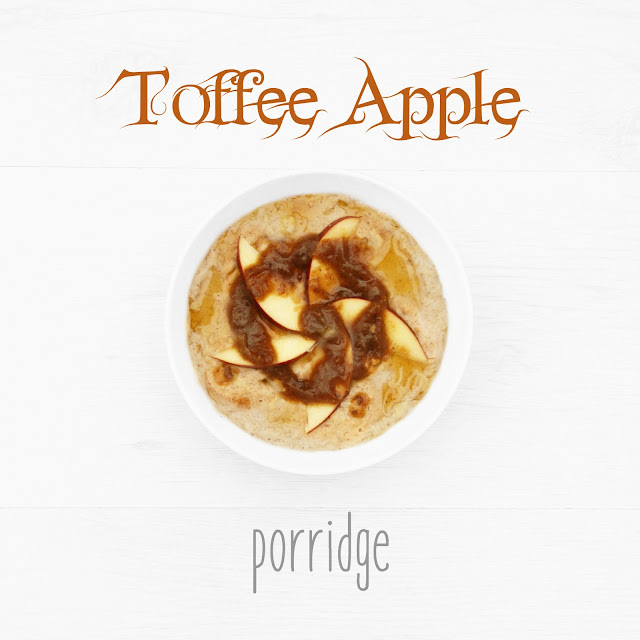 This porridge is warm, not too sweet, delicious and two of your five a day! Chop the dates and put them in a saucepan with 50ml hot water. Bring to a boil, uncovered, then reduce to a simmer for 10 minutes. Transfer the dates with a little of the water to a food processor or blender and reduce to a puree. Add the remaining water and continue to mix until thoroughly combined. For thicker sauce: use less water, or soften a few more dates and puree them into the mixture. For thinner: add more water. 1. Thoroughly combine the oats and whey, if using, in a bowl (or shaker bottle). Stirring all the while, add 100ml skimmed milk (or pour into the bottle and shake to combine, then transfer to a bowl). Set in the fridge overnight. 2. Reheat in the morning, if desired, by adding 50ml water and microwaving for 1 minute, stir, then heat for 20-30 seconds until desired texture is reached. Move on to step 4 and return to the microwave. 2. Combine the oats and whey, if using, in a pan. Stirring all the while, add the milk, then 100ml of the freshly boiled water. 3. Bring to a boil then reduce to a simmer over low heat for about 15 minutes, stirring frequently. 4. Meanwhile, core your apple. Cut and reserve a few slices for garnish, then peel and chop the rest. Add to a second pan with the remaining 50ml boiled water. Bring to a boil, then simmer to soften. 5. 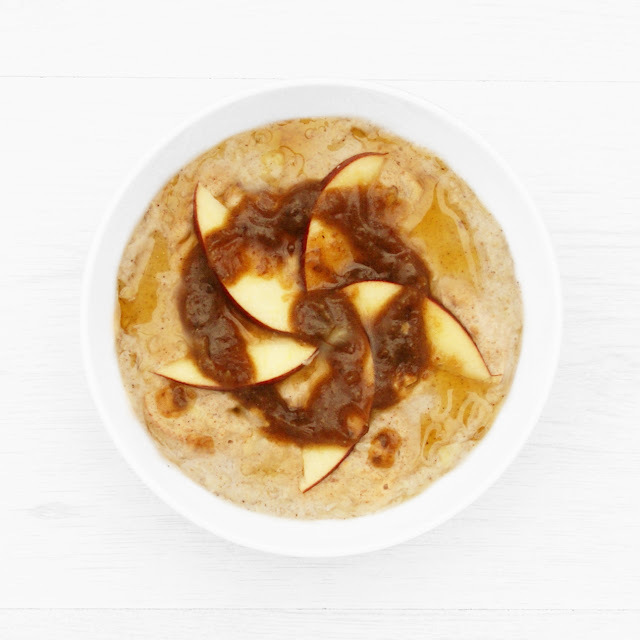 Once the apple is soft and the porridge is done, stir half of your toffee sauce into the porridge pan, then add the softened apple along with any remaining water, and continue to simmer together until desired texture. 6. Transfer to a bowl, arrange your apple slices, then add your toffee sauce. Add honey if desired, and serve.